Proudly sponsored by Ryman Healthcare, Bowls North Harbour is proud to present these OPEN Masters events. Open to any registered bowler from anywhere in New Zealand, and any combination, get your friends together and join the fun at these fantastically sponsored events. 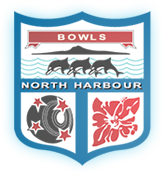 All entries direct to the Centre Office – bowls@bowlsnorthharbour.co.nz. All entrants must be over 70 on the date of the competition.